I’ve done some pool management in my time, and one of my absolute favorite things is to be the first one at the pool. It’s absolutely quiet, except for perhaps the low hum of the pump. The water is still and perfect. It is a manifestation of peace and potential. 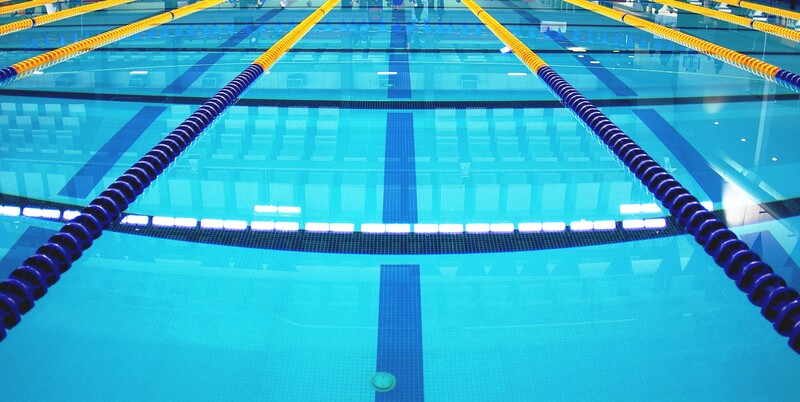 Pools, especially during swim meets or practices, are hectic places, full of noise and hustle & bustle. They are a portrait of motion and sound: kids’ voices, adults’ voices, whistles blowing, exhaust fans whirring, pump noise, starting signals, and splashing sounds all echoing off the walls in a wonderful cacophony. Everything seems to be in constant motion, a place where things are happening, a place where peace and quiet and stillness seem impossible. Yet the water was still before all this began. It was a place of absolute quiet and peace, the water so still it looked solid. It was a place poised to be busy, a waiting place, a place where the only thing going on was the unseen circulation and cleaning of the water. This still water was there before the busy-ness began, and it will be there again when the busy-ness is done. Our lives are full of motion and sound, places where things are happening. They are full of school and work and friends and meals and errands and chores and sports and social activities and Facebook and texting and reading someone’s blog (I can only hope!). Do we also have time for the still water? Do we make time to calm things down, empty out the busy-ness, and clear our minds? Do we allow ourselves time at the beginning of our day for our water to be motionless, or do we jump from bed into the to-do list? A still, quiet pool can be a meditative visualization. As we imagine the busy pool slowly emptying out, getting quieter, people leaving, we can slowly empty out our worries, our stresses, our lists. As the pool gets calmer, the water smoother, so can our souls become calmer and quieter. Allowing this time allows our water to be refreshed, to recover and be ready to face the busy-ness once again. I’m a giggler, no doubt about it. The kids I worked with learned pretty quickly that, no matter how intense I seemed most of the time, if they could get me cracked up, it was worth several minutes of giggling. I had a few swimmers in my career who I believe crossed my path for just this reason: to lighten me up a bit. “Nooo….” was the confused response. Needless to say, I fell out laughing. Sometimes the best thing in the world to do is laugh. Those moments don’t come by often and you need to grab them when they do. It’s been a hard week to do that. Between the suicide of Robin Williams and the shooting of yet another teenager leading to civil unrest and the seemingly never-ending death and destruction in the Middle East, it’s been a hard week to laugh. It’s been hard to even find things to laugh about. But if I’ve learned anything it’s that times like now are THE most important times to laugh. Not at the tragedies, but in spite of them. We must seek and find the humorous moments, AND SHARE THEM. Laugh together with someone, laugh in that side-clutching, gasping way. Laugh hard enough to bring tears to your eyes. Laugh long enough to forget what got you started. Laughter is the ultimate bonding experience with another human being….good laughter, positive (not mean, at-someone’s-expense) laughter, laughter from your gut….this is a deep down, wide open, vulnerable, joyful thing to share with another human being. Laughter does not ignore the pain, or say it doesn’t matter. Laughter doesn’t minimize the tragedy. Laughter bonds us when we need a bond, and gives us hope that things will get better. When they say that laughter heals, this is what they mean. To all my swimmers (and my own children), thank you for the laughs we shared. Thank you for the hope you gave me. Thank you for the light you cast into my darkness. I hope I returned the favor. If you’ve ever seen a heat of high level male swimmers racing a sprint freestyle event, you’ve seen the wave they pull behind them. It’s impressive to see the wake caused by a strong, powerful body propelling itself efficiently through the water. Then they come to the wall. As the swimmers slow slightly to initiate the turn, their wake catches up with them. As they push off, what was behind them is now in front of them, a wave of churning turbulence with the potential to ruin their race. Young swimmers often push off right at the surface, and take that wave in the face. They must learn through practice to push off deep enough to avoid their own wave, and slide through the still water. We create turbulence as we move through our lives as well, stirring up the water with our selves, our habits, our insecurities. As long as we are moving forward, this turbulence is largely unnoticed by us; it is only when we slow down, when there is a challenge facing us, that our own mess catches up with us. 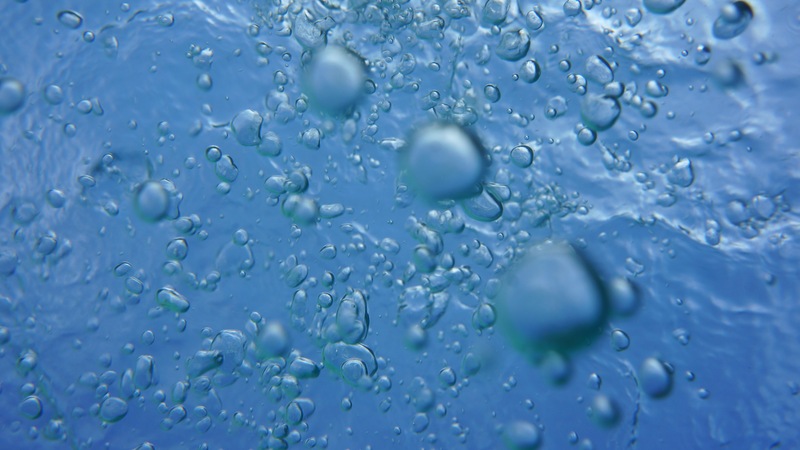 We flounder in the churned up water we have created, making the challenge that much more difficult. Perhaps instead we could get out of our own wake. We could approach our challenge (wall) with determination, acknowledging that our issues and inner demons (turbulent wave) is right with us, and push away from the problem (wall), aiming for the calm place (still water), where we can once again move forward efficiently. It is important that we not deny that the wake exists, otherwise we will run into it over and over. Rather, we should accept that it’s there, see it for what it is, and take steps to move past it. From the USA Swimming rule book: Swimmer should push off the wall into streamline position, face down or on the breast. 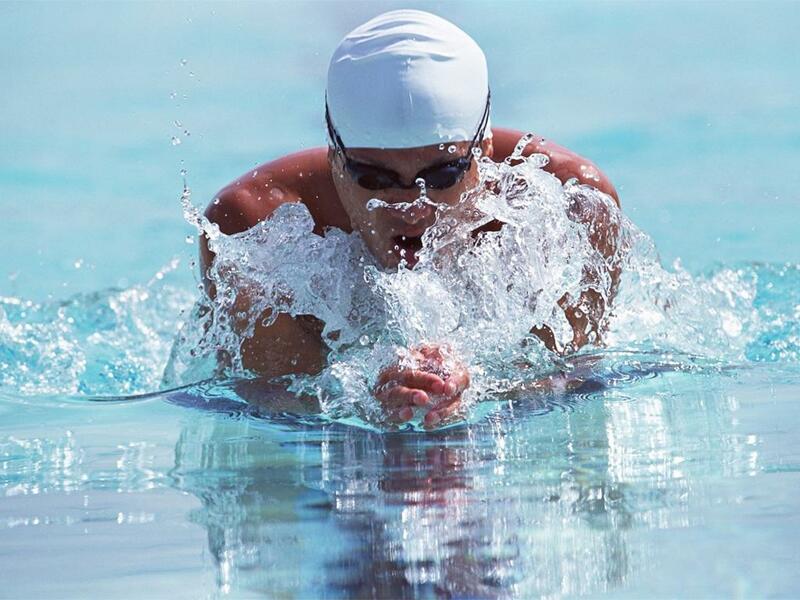 The swimmer should sweep the hands out to just outside the shoulders and turning fingertips down, moving the arms back simultaneously, pressing hands toward the belly and squeezing elbows in toward the ribcage. The hands shall be pushed forward together from the breast on, under, or over the water. The elbows shall be under water except for the final stroke before the turn, during the turn and for the final stroke at the finish. The hands shall be brought back on or under the surface of the water. 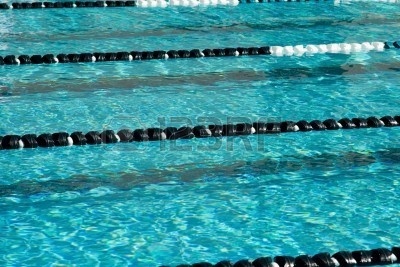 The hands shall not be brought back beyond the hip line, except during the first stroke after the start and each turn. As the hands are being brought back toward the chest/belly, the swimmer should bend their knees, drawing their heels up toward their buttocks, with toes turned out toward the sides. As the hands are pressed forward, the swimming should execute the kick, both feet moving in unison, whipping back with a slight outward rotation (similar to a frog kick). Throughout the race the stroke cycle must be one arm stroke and one leg kick in that order. All movements of the arms shall be simultaneous and in the same horizontal plane without alternating movement. During each complete cycle, some part of the swimmer’s head shall break the surface of the water. All wall touches must be two hands touching simultaneously in the same plane. Breaststroke is the ultimate in “pat your head, rub your tummy”. Coordinating the kick and pull is hard enough, then throw in remembering how to hold your feet, where your hands should be, and making sure your head breaks the surface with each stroke and you have the ultimate in multi-tasking metaphors! It’s no wonder little kids struggle with it so much. Multi-tasking can be trained into muscles—by virtue of repetition, muscle memory will take over and allow us to execute the movements correctly without having to think about each one. It gives us the illusion that we can do many things simultaneously, which excites the Brain, who then yells, “Awesome! I’m going to help!” And it all falls apart. You see, the problem is that Brain can’t multi-task. It can do many things quickly so it appears as though it’s all happening at the same time, but it’s not. Every time Brain focuses “here”, whatever is going on “there” suffers. (Think about how many times you’ve arrived at your destination not remembering the drive. Brain was thinking about something else.) We see this regularly in swimming, when a coach will advise a swimmer to work on their kick, or think about their head position, and as soon as Brain starts doing what we’ve asked, the rest of the stroke gets messy. This is another of the hard lessons of swimming. While a swimmer is working to correct a stroke, they will go through a period of feeling awful and awkward trying to swim it. They will get discouraged. They will wonder why they’re trying to make a change if it is only going to result in being worse. They will want to abandon the change and go back to the way they used to do it, because that was comfortable and familiar, but they can’t. They started to make a new habit and now the old way is lost. Even Brain isn’t sure where to focus. This is a difficult but absolutely normal step on the path of major change. As you discipline Brain to focus on doing something entirely new, everything else will feel as though it’s falling apart. Getting through this is incredibly hard, but you must press forward. You cannot go back: Brain has forgotten that way. You cannot stay in this awful place, neither here nor there, with Brain completely unfocused. You must move forward, with persistence, reminding yourself that this is temporary, that you chose this way in order to grow and make progress, that repetition and focus will make a “new normal”. Before you know it, there will be a new place and a better habit, one you won’t have to think so hard about anymore.